This guide is for those who are just starting out on their teaching journey, through to experienced teachers seeking a few tips on how Storypark can help build community and work towards stronger partnerships with parents. If you prefer to learn by watching rather than reading, then our family engagement online workshop covers similar information. Activity: How well are you currently engaging families? Generate an activity report on family invites and comments. Go to your community area and count the number of parent comments. Count the number of times a teacher has asked family a question in a story or in a response. What do you/your service regard as quality engagement and what would that look like in Storypark? Do the results of the above activities align with what you regard as quality engagement? Write down what you should now be aiming for. What are the barriers you face when trying to engage families? Further reflective questions can be found on the Ministry of Education (NZ) site. Create a story prior to, or shortly after inviting the family so that they will have something to view when they log in. Even if it’s simply a ‘Welcome to Storypark’, or a photo of their child. Building a relationship is harder to do if you can’t picture a person. Take a look at your service’s teacher profile photos, do they all have one? Ensure each child has a profile photo to personalise their account. Encourage the family admin to invite those who are important to the child, i.e. the other parent, grandparents etc. "Encourage the family to add as many family members to the child’s profile as they can. Storypark works really well when there are lots of people adding their insights." Provide them with tips on how to respond in a way that will help extend the child's learning. 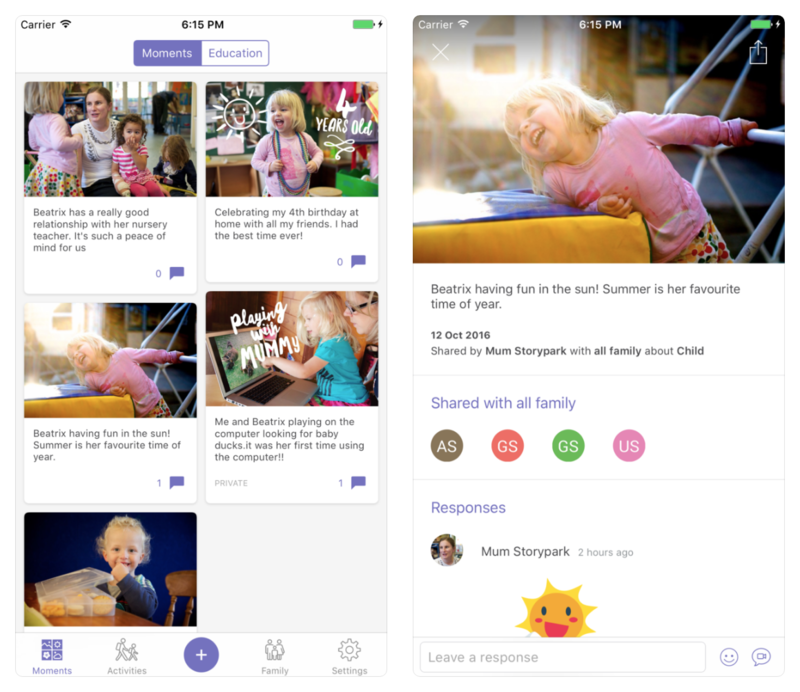 Let families know that there is an Android and iOS Storypark Families app that lets them respond to your stories and share moments with you that they create themselves. "Show them the app on your centre iPad. Help them sign in, show them how easy it is to make a story... Ask them to send you a picture from home, like their cat." Who’s in a child’s community? We believe it takes a community to raise a child, so for every child there should be a close community around them that are involved in their Storypark community, i.e. parents, grandparents, relatives, perhaps even a few close family friends – potentially four or more people. How many do your children have? To find out, go into your Reports page. 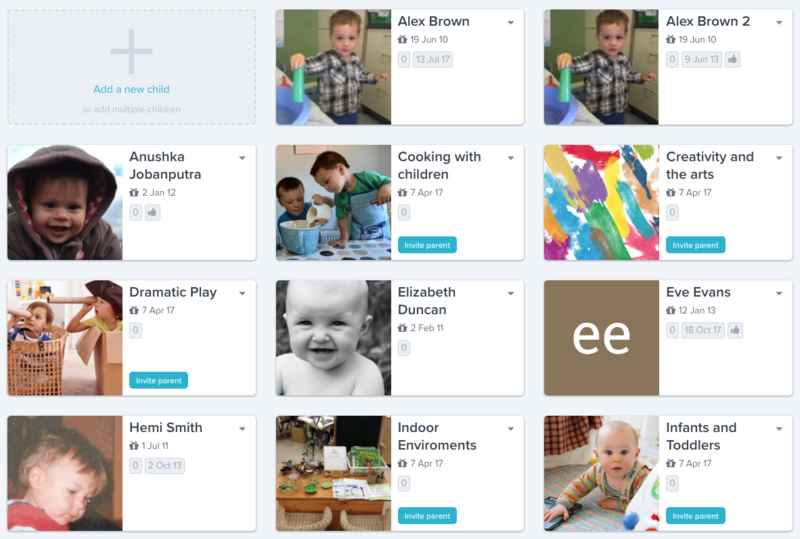 Choose Children activity and scroll down. Next to each child you'll see how many family members can access their profile. A good goal to set the team is to encourage the family admin to invite those closest to the child. To see who has been invited to date, go to your Children tab, tap on the dropdown arrow on a child’s tile and select View profile. Tap on the child’s Family tab to see all invited family members and who has been given admin rights. How engaged is this community? Within the Reports area you can see activity statistics for children, family and teachers. This lets you to compare how well comments are responded to. Under the family and teacher comments you can see for example the number of Family comments verses Teacher comments over the last month. What we’ve found is that if you take the time to respond to family comments at the beginning of the family's Storypark journey they’ll continue to comment. If you don’t make this a priority, the number of family comments drops quickly. Responding shows you are reading and appreciating the time they are taking to comment. If families don’t receive a response often they can think ‘What’s the point?’. Think of this as similar to a Facebook post, if you post something and nobody looks at it or comments, how do you feel? Would you post again? If you’re an admin you’ll be able to access the teachers statistics to see who is making and responding to comments, over a selected period of time. Do this every few months to gauge how well your service and teachers are responding to comments. "Thanks for sharing this story, the photo of Beth drawing is sooo cute." As families are familiarising themselves with Storypark they often begin by making positive comments – generally thanks and appreciation. To support further commenting try to respond to each comment to show you're reading and appreciating their comments. You could also refer to their comment in the next story you write for their child. If families don’t respond, it doesn’t mean they don’t value what is being shared. It can take time to build confidence and try something new. To encourage moving to a level of trust and sharing, try asking open ended questions within the story or in the comments area. Ask families questions such as Have you seen this at home? or Where did this interest come from? Refer to their comments in future stories to show you appreciate and utilise their input and sharing. “Just like in your story we've been modelling asking for "more" during mealtimes, playtimes and storytime. Last night she said a very clear "more" when her Dad had finished reading her bedtime story. We were both so excited that we read her two extra stories. Where do we go from here?" The ultimate goal is working together to support children’s learning pathways. The teachers’ and families’ comments or feedback becomes a conduit for further learning. A strategy to support this happening is to share possible ways families can involve themselves in furthering or extending the learning or interest at home. And on the flip side, ask families for ideas or strategies they use so you can build on these. Asking for their ideas shows them that they know their child best and teachers are not the sole experts. Once a story is published you can record comments using the voice recording option in the Teachers app. The tone and emotion you hear through recorded voice makes audio comments a very rich tool. It’s quick and easy to use and especially useful when writing is difficult at that time. The app also enables children’s comments, involving them in their own assessment. Where would you place the comments you have been receiving: 1. Low level of engagement? 2. Trust level of engagement? 3. Engaged and involved in the learning? What goals will you set to strengthen engagement? Not everything needs to be a story of assessment. Families report that they would rather have regular short updates than irregular updates or just one well crafted learning story infrequently, by which time a child’s interest may have moved on. A magic moment, anecdote, video or child’s voice can be just as engaging, and posting these regularly gives families the opportunity to respond and provide feedback, which can ultimately be incorporated into richer learning stories. Ask parents open-ended questions. What did you think of the story? What have you seen at home? How did you do this when you were their age? Questions should empower family, positioning them as knowledgeable and experts in the child’s development. Not every post needs a question though, think about creating a balance between strengthening engagement and over-burdening busy families. Don’t get discouraged. You may pose a question in a story and the family sees it but doesn’t respond. Many families don’t know what a useful comment should be. Some families prefer face-to-face interactions. You can hover over the little eye icon at the bottom of a story card on your stories page to see who has viewed it. Look at who has read stories so you can start a conversation at pickup/drop-off time. Don’t forget video. Video is a rich and accurate way of sharing what occurred – the interactions, language, emotion, gestures, and physicality. Video has been shown to encourage more family engagement than any other media. A couple of minutes of video can showcase a lot of learning. Try to use the language of your audience. Think about who you are creating these stories for. Families are generally not versed in the language of pedagogy. There’s a chance families may disengage if they don’t understand the words you use. Make sure your learning tags have family-friendly descriptions so that everyone understands what they mean. "Use a snappy interesting title to draw in families." Bridge the gap between your service and home. Provide ideas to support children's current interests that can be followed through at home. 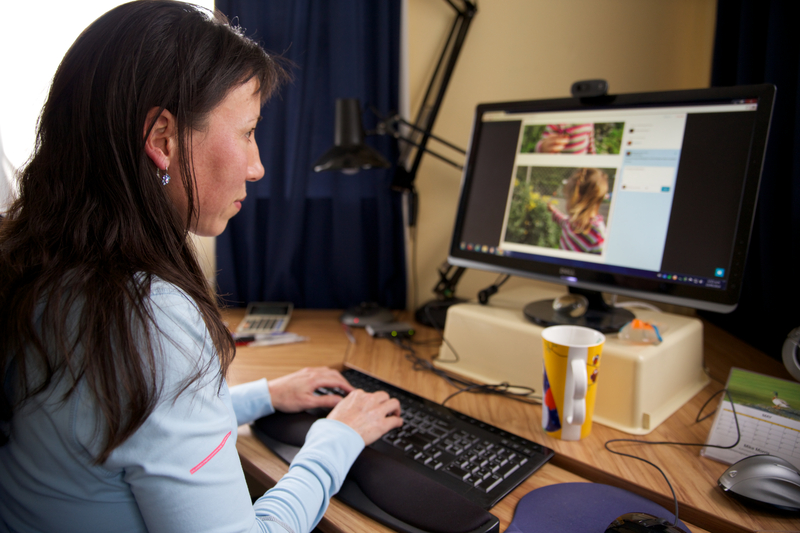 Ask families to post what they did so you can respond with further potential extensions. Turn on spell check. Everyone makes mistakes. Turning on spell check helps to reduce spelling and grammar errors. If you are writing on your phone, you can save it to a draft, then check the spelling on a computer. Encourage families to share stories from home. Families can record their child’s moments through the Families app or add a story on the web app. They can choose to share moments with you and any family they’ve invited. Ask to see learning that is happening at home or to share a story/moment after the child has had big experiences such as a holiday. Always respond when family share something. When a parent leaves a response or shares something, acknowledge this by responding in Storypark or face-to-face. This lets them know you value their contribution, big or small and encourages them to do it more. Consider utilising the voice recording comments function in the app. Respond to other teachers' stories. Encourage all teachers to add their views and observations to other teacher's stories, providing a fuller picture of learning. "The most engaging stories are ones that follow on from another, so parents can see a progression of learning, and can understand why the learning is valid." The Planning area is a versatile tool that can support the way you plan in your service. Planning is often a collaborative undertaking, so once a teacher has created a plan they have the option to then share it with the team, individual teachers, or their room/service, so they can all contribute. 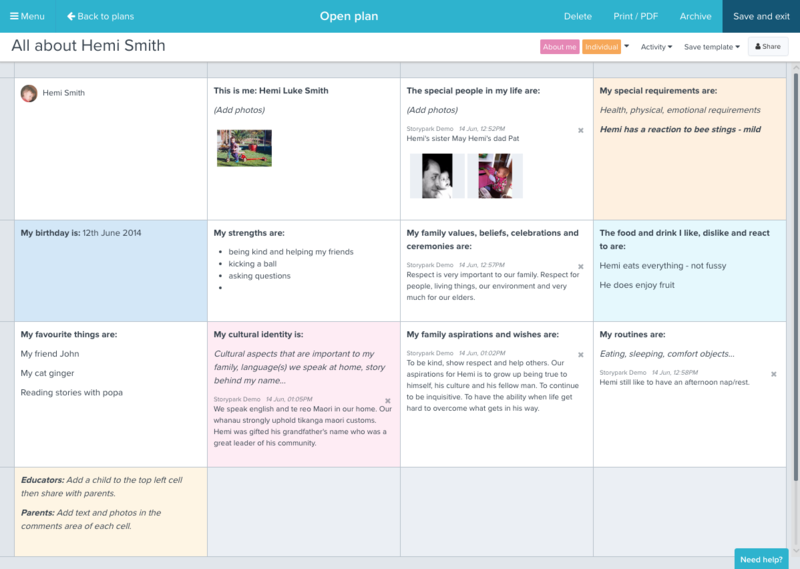 An All about me plan (available in your list of example planning templates) is great to share with a parent when the child first starts. Family can add photos and important information about the child providing you with valuable insights into the child and family. Encourage teachers and families to continually add to the plan while the child attends your service so it evolves with the child. It’s also useful to make reference to some of this shared information in stories showing how you are using and valuing the families contributions. How can you inspire the sharing of information, ideas and involvement? Once a family member shares their thoughts and comments what do you do with that information? Introduce new staff. Consider uploading a video introduction which can be more powerful than words alone. Encourage parents to invite immediate family. Encourage both parents of a child to be family admins so they both have access and can contribute to the community area. Share ideas and activities that families can do at home. 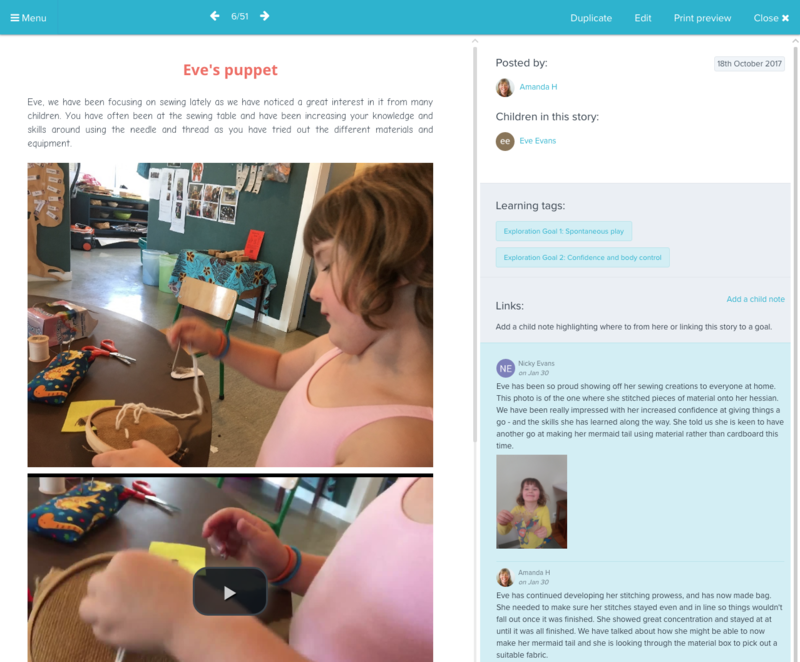 Share activities, literacy development, physical games, recipes and challenges. Storypark has an entire TeachMe YouTube channel dedicated to quick and easy ideas families can use to engage with their children (especially good during holiday breaks). 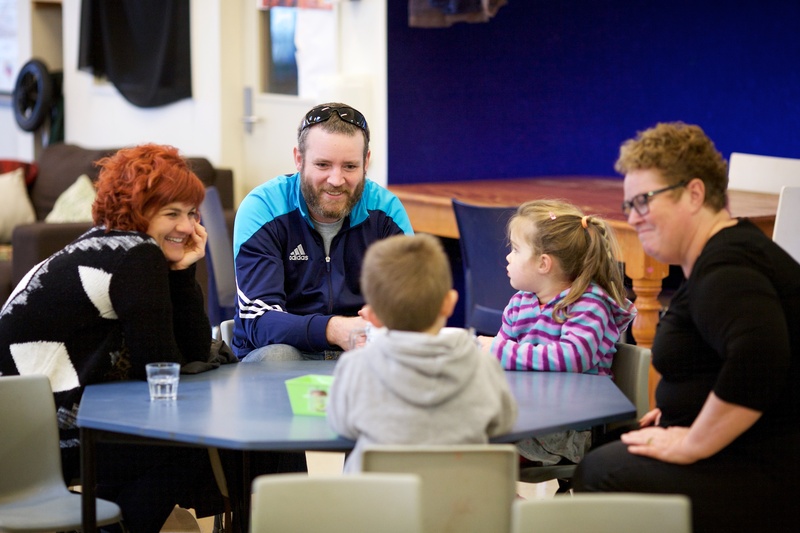 Ask families to share their own activity ideas, and invite them in to your service to share their skills and knowledge. Ask for parents' input. A question or a survey can give parents the opportunity to feel invested in decision-making at your service. An example of this might be asking for feedback on a policy review. Daily or weekly diaries. Share what's been happening via a few photos and a couple of sentences regularly. This type of post is a quick and an easy way to keep families informed about what's been happening. Parents may not receive a personalised story every week but by sharing what their child may have been involved in and your service's current interests keeps families informed. It provides parents a great conversation starter with their child. Consider allocating one teacher each week to create this post. Try also to involve children, supporting them in choosing the photos, and what they'd like to share. Use the conversations feature for individual or small groups of families who have children with similar interests or development, i.e. groups of children who are teething, toilet training, or are about to transition to school. These are topics that may be relevant to some but not others. Check out more ways to use conversations. Note: Conversations should support the way you already communicate. They are not intended to replace face-to-face discussions. Provide access to those who don't have it. If a family doesn't have a computer, smartphone or internet, have a place at your service where they can sign in to view Storypark. In what ways do you foster a sense of belonging and partnership across all families and cultures within your setting? How well are you valuing and making use of the families' knowledge of their children, their aspirations, cultural identity and beliefs? As a team, create a list of questions that have generated useful responses from families. Is your whole team involved? If not how can you support them in this area? Set a goal for yourself and a goal for your service that will help you strengthen family engagement.